Who would've thought that fashion phones and business phones can go together? I certainly wouldn't be calling the HTC Touch Pro2 a fashion phone. Well, Samsung has just came up with a business phone that fashionistas will also be lusting for: the Samsung B7620 Armani mobile phone. 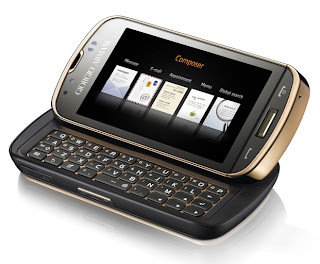 Basically, the Samsung B7620 is like the pretty version of the yet to be released Samsung B7610 OmniaPro. Some of the differences between the Samsung B7620 and the B7610 includes, a tilting screen and 8GB of internal memory on the B7620 and an onboard 3.5mm headset jack on the B7610 OmniaPro. GSMArena already has a preview of the mobile phone on their website. 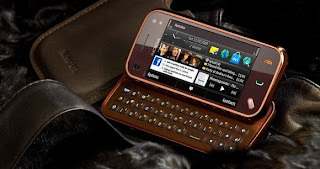 Another fashion phone to hit the scene is the Nokia N97 Mini RAOUL. This edition is very limited as only 1000 RAOUL edition mobile phones will be made. It's already available in Singapore so if you happen to be there, grab one for yourself because it's a real eye candy.